Use the search bar on the right to narrow the list first. 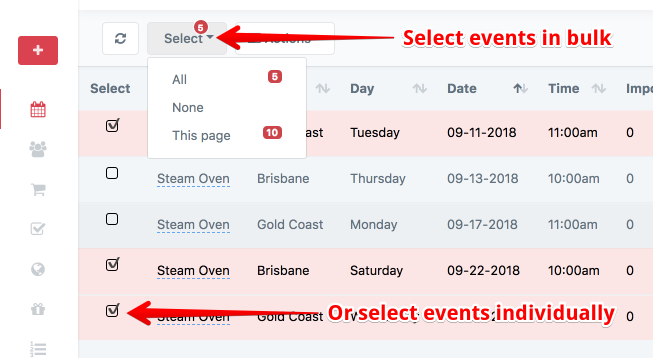 Then choose Select > All from the dropdown in the upper left. 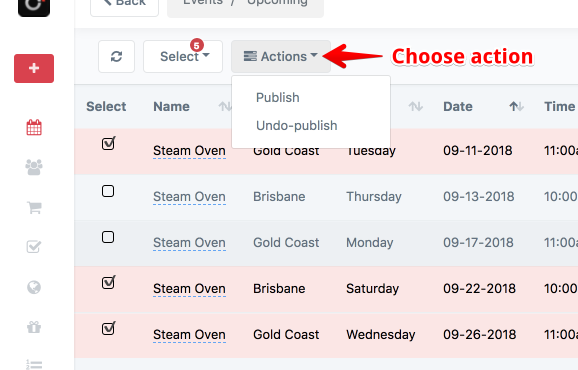 Click the Actions dropdown and click on the action you'd like to perform.